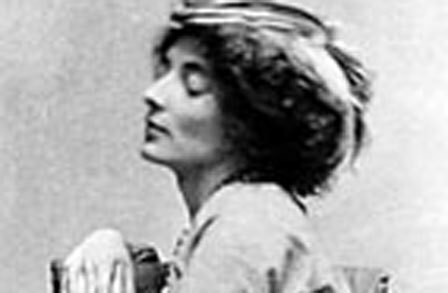 Mina Loy is one of the writers on our Modernity’s course this year. I have to admit she is one that I was not familiar with before the seminar. I was very intrigued by her because she is not the typical writer you would expect to encounter on the syllabi’s. For starters she had no formal or classical training whatsoever. She is an ambiguous character. Her education seems to have come from her reading, traveling and indeed from her own writing. She is also considered to be a feminist poet. Many of her poems seem to speak to many of women’s issues of the time. These issues are very relevant and contribute to many of the feminist arguments that still exist today. Although she is regarded as a feminist writer her work was highly regarded at the time but she seemed to fade away slightly as time went on. This entry was posted in Uncategorized and tagged An Effectual Marriage, Anthem, Gender, Kurt Cobain, Leonard Cohen, Mina Loy, Punctuation, that's how the light gets in, There is a Crack in everything. Bookmark the permalink.